Could Help to Buy be for you? One of several government equity loan schemes, Help to Buy can be good news for those who want to own their own home, but don't have a deposit, or quite the level of income needed to secure a mortgage on the open market. Help to Buy can help substantially with both, though there are long-term financial implications. We weigh up the advantages and drawbacks of the scheme, helping you decide whether it's the right option for you. Need to get more of a general sense of all the home ownership options out there? Find out how to buy a house or flat in our comprehensive guide. Help to Buy is a government equity loan scheme, with the option for buyers without a deposit to build up their savings with an ISA account that the government will 'boost' with an interest-free top-up of 25 per cent. This bonus can contribute to the deposit on the completion of a house purchase. You then get a loan on part of the property value – up to 20 per cent England-wide and up to 40 per cent if you are buying in London. This loan is interest-free for the first five years, but will come with a 1.75 per cent interest in year six, increasing by 1 per cent (plus inflation) every year thereafter. The scheme in its current form is closing on the 31st March 2021, and will then run with some changes until 2023. The Help to Buy ISA has a deadline for opening a new account of 30th November 2019; banks and building societies will no longer offer this type of ISA after this date, but you will still be able to deposit savings into it until 2029.
Who is eligible for the Help to Buy scheme? The Help to Buy (HTB) scheme is not restricted to first-time buyers, but you must not own a home at the time of a HTB purchase, which means that if you are already a homeowner, you will need to sell your home before buying the new one. Help to Buy is also limited to new homes with a value of up to £600,000. You will have to live in the property, as it cannot be sub-let or purchased as a buy-to-let. You will also still need to take out a regular mortgage on the amount due, minus the deposit and government loan. Find out how to take out a mortgage in our guide. Five per cent deposit: as with other government property loan schemes, the biggest advantage of Help to Buy is the opportunity to buy a home with a small deposit – just 5 per cent of the total property value – and secure a better mortgage rate than you would with a 95 per cent mortgage. Good for couples: the Help to Buy ISA account is capped to one per person, not per household, which means that if you are planning to buy with a partner, you can both benefit from the government bonus when you are ready to buy. That's up to £6,000 extra towards your deposit. Good for Londoners: the scheme makes the most sense for those wishing to settle in the capital, since you can borrow up to 40 per cent of the total value from the government. This again means that not only do you need a lower deposit, but you're also applying for a commercial mortgage on only 60 per cent of the house price. So, in order to buy a property that costs £400,000, you'd need a deposit of £20,000, and would be applying for a mortgage on £220,000. This can be very valuable to those who want to buy in London but have average salaries (the median London salary currently stands at £34,473). You have time to save: while the deadline for opening a Help to Buy ISA is 30th November 2019, you will be able to continue putting savings in until 2029 (which may well change depending on government policy changes between now and then). What are the drawbacks of Help to Buy? You are limited to new builds: Help to Buy only allows you to purchase newly built homes. Think of new-builds as somewhat like new cars: they cost so much because the manufacturer (the developer or Housing Association in this case) needs to make a profit. And yet, as soon as you buy a new home, it can depreciate in value, which may leave you with negative equity, making selling up and moving difficult. That said, there is potential profit to be made from buying off-plan. As with all house purchases, weighing up the pros and cons of the property you're buying versus the house price predictions for that type of property in that area versus the length of time you're planning to live in the property for will help you make a wise decision – or as wise as possible. Saving will be slow: if you want to benefit from the Help to Buy ISA, you can only contribute £200 per month, up to a total of £12,000 (plus the government's top-up of a maximum of £3,000). Your expenses will go up after five years: this is one of the most important, and least discussed, aspects of Help to Buy. Government interest will kick in after the five-year interest-free period, which will mean larger repayments on top of the mortgage. If you are unprepared for this, you could find yourself cash-strapped over a long period of time. So, while Help to Buy benefits those who haven't got substantial savings, it is risky for those on lower incomes. Poor value for money: Help to Buy has drawn criticism over how much the homes on offer cost in comparison with equivalent older homes. Vulnerability to interest rate increases: another important thing to remember is that participating in the scheme does not mean you will be on a fixed-rate mortgage, and any hike in interest rate will affect how much you will be repaying, potentially making your home even more expensive to you in the future. Only go ahead with Help to Buy if you really, very badly want to own a home and feel that you can't wait much longer. If you want the sounded, safest property investment, you are unlikely to make it by purchasing a new build on a government scheme. Be prepared for the financial implications of the loan after the initial interest-free five years, which means you'll need to be certain that your income will cover the fees without drastically reducing your quality of life. The Help to Buy scheme is available in England only; you will need to contact a government-appointed Help to Buy agent local to you area. Help to Buy London has its own website. Scotland has its own Help to Buy scheme, which is similar but not the same. Help to Buy Wales is pretty much the same as England's scheme, but you will need to go through a Welsh-accredited conveyancer. 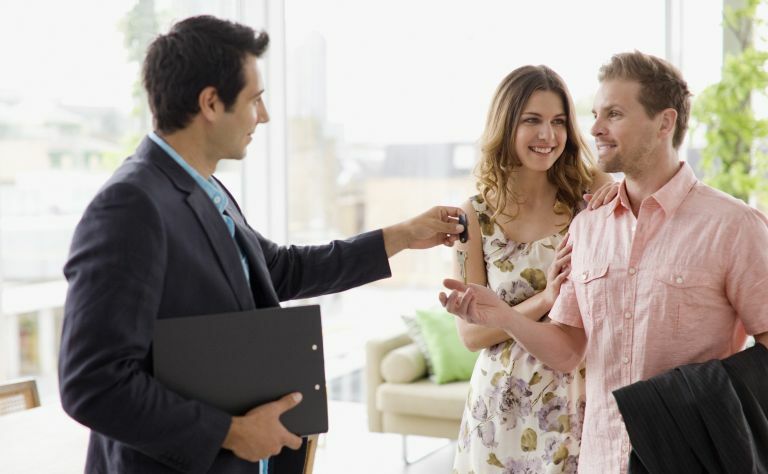 Want to explore other options for buying a home? Shared ownership: what is it and can it help you buy a home?